Do you struggle with getting your swagger on? This week’s guest knows a thing or two about being cool, calm, and confident. Find out how you can obtain these seemingly unattainable traits with guest Randy Cohen on this week’s episode! Steve Little is the CEO and Managing Partner of Zero Limits Ventures. Steve first started his entrepreneurial career at the young age of 13, and sold his business a few years later for a 6-figure sum. Steve has over 40+ years of experience in entrepreneurship in a wide range of industries, which is why he is the perfect guest for this week’s topic. On the show, Steve discusses some of the important factors you need to consider, to drive value in your business. 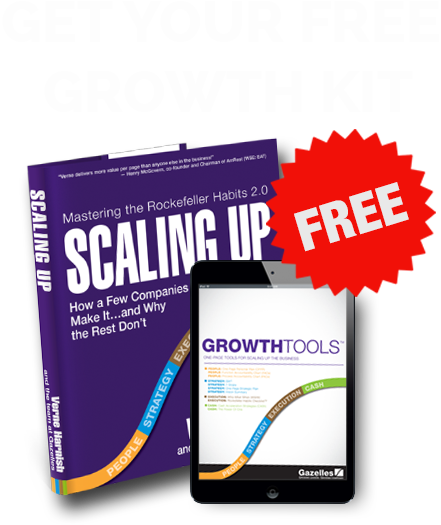 John Ratliff first applied The Scaling Up Rockefeller Habits when he was the Founder/CEO of Appletree Answers. He grew it from a relatively small company in 1995 to 700 employees, before selling it in 2012. Today, he is the Managing Director of STS Capital Partners, and sits down with Bill to discuss our overall mental health and how to combat depression when you’re sitting at the top. What Goes Behind a Great Sales Playbook? Jack Daly is a sales coach with over 25 years of experience. Throughout his career, he has helped six companies grow to hundreds and hundreds of employees nationwide. Jack is also the Amazon bestselling author of Hyper Sales Growth. On today’s show, he discusses what makes a great sales playbook. Tristan White is the Founder & CEO of The Physio Co, a physical therapy clinic based in Australia. His company has been ranked #1 of Australia’s best places to work. How did he do it? By creating a winning culture everyone within the company can get behind and support. He explains how he was able to achieve this, on today’s show.